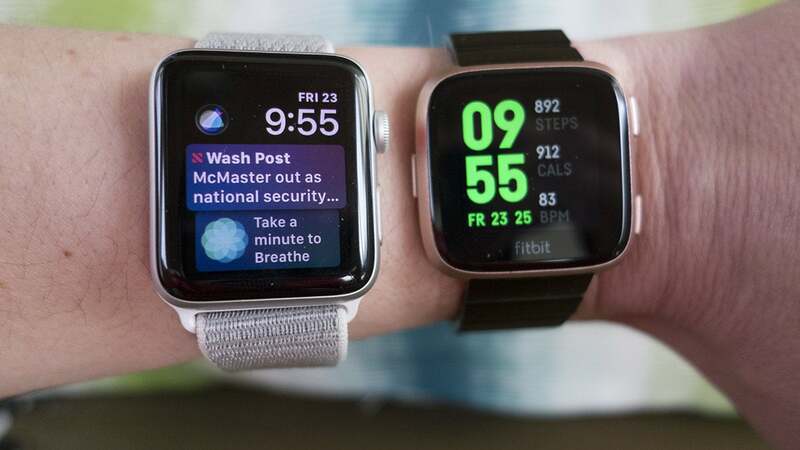 Fitbit Versa vs Apple Watch Series 1: Which budget smartwatch is right for you? The choice isn't as obvious as you might think. After three years, Apple Watch finally has some competition. 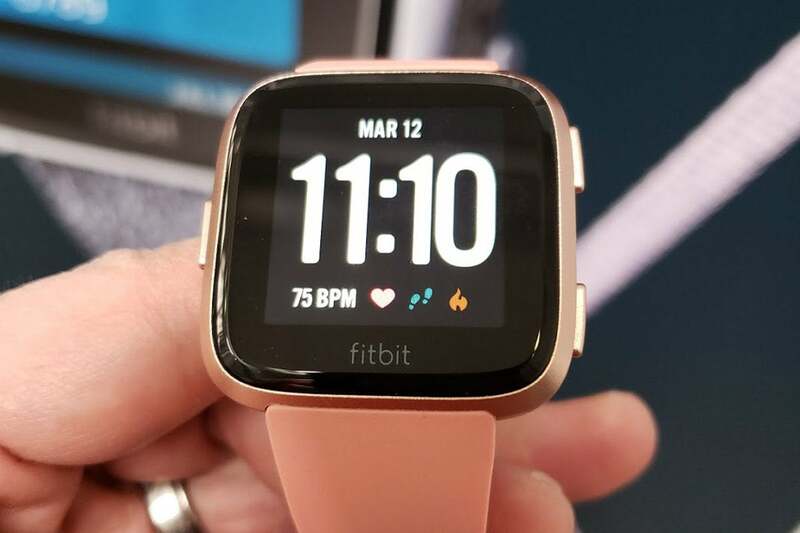 Fitbit's new Versa is on sale today, and if you're in the market for a smartwatch that costs less than $300 and up, it's worth considering, even if you're a staunch Apple user. Let's take a look at how it stacks up against Apple's Series 1 Watch. 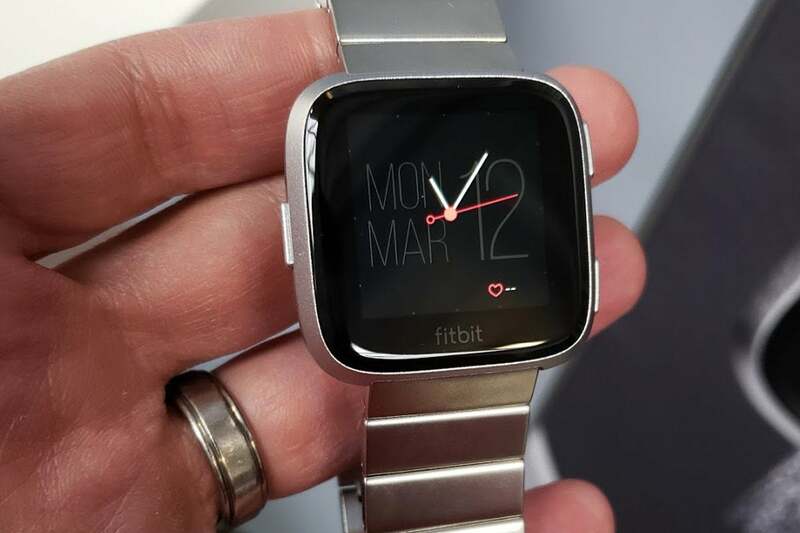 With a square, aluminum body, Fitbit's Versa is inevitably going to be branded as a rip-off of Apple Watch's design. But it's easy to forget that Apple Watch wasn't the originator of the square smartwatch design—Pebble was. And Fitbit just so happens to own Pebble. But no matter who can claim ownership of the rights to pioneering the square, the fact of the matter is it's the only shape that makes sense for a smartwatch and it works great on both watches. Shape aside, the Versa is a nicely designed watch, with an aesthetic that's similar but not exactly like Apple Watch. Where Apple's wristwatch has curved edges, Versa's sides are chamfered and more aggressive. There's also no crown on the Versa, with Fitbit opting for a trio of buttons (two on the right and one on the left) instead. Both Versa and Apple Watch Series 1 are available in silver and black aluminum, while Versa adds a rose gold color. Versa is shorter and wider than the 42mm Apple Watch. Fitbit's Versa strikes a nice balance between Apple's two watches, with a wider frame that's only slightly taller than the 38mm Apple Watch and will look good on all but the smallest of wrists. And keep in mind that Apple charges a few dollars more for the 42mm watch. Without an OLED screen, Versa's boundaries are quite visible. But while the screen size isn't something you're likely to notice in regular use, the quality of the display is. While both have enough pixels to be considered retina, Apple Watches use OLED tech, so the black background on most screen blends into the body of the watch, giving it an edge-to edge feel. With the Versa's LCD screen, you can plainly see where the screen ends at all times, which makes the bezels feel much bigger than on Apple Watch. Versa's band-switching mechanism isn't as elegant as Apple Watch's, but it does the trick. A brand new Apple Watch Series 1 comes in just two flavors: silver with a white sport band and black with a black sport band. 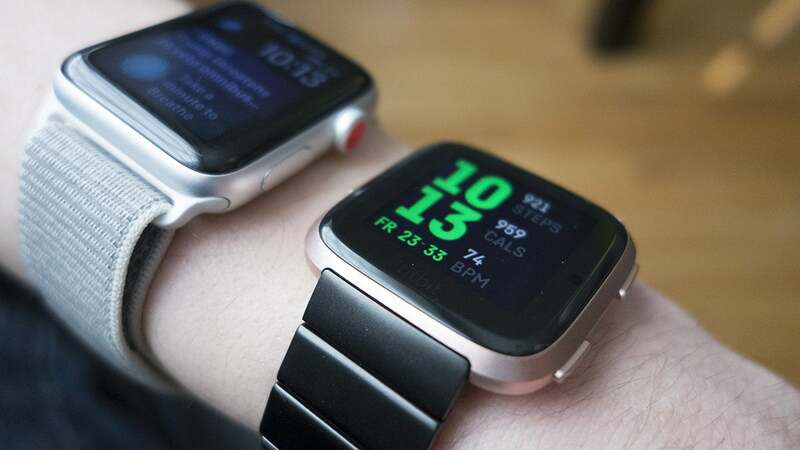 Versa also pairs its black watch with a black band, but you'll get a gray one with the silver model and a peach-colored one with the rose gold color. There are also two special edition models with woven bands in charcoal (with a graphite aluminum case) or lavender (which is paired with a rose gold watch). Like Apple, Fitbit is selling a variety of bands for Versa. While there are only 14 to choose from so far—as compared to dozens for Apple Watch—they're quite a bit cheaper, ranging in price from $30 to $99. Apple's bands start at $49 and can cost as much as $450 for a stainless still link bracelet. Swapping out the bands is easy enough on Versa, with a quick release mechanism that pulls the pin back. 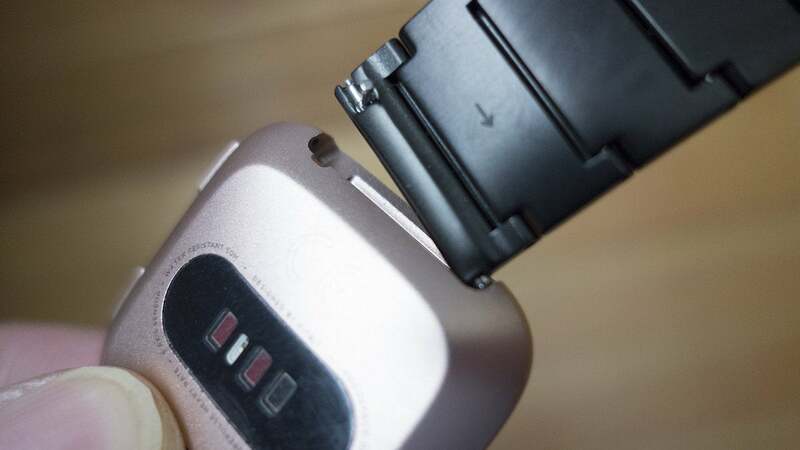 However, if you're going to be swapping out bands often, Apple's press-and-slide method is far superior. There are lots of clock faces in the Fitbit store, including this one inspired by Thor: Ragnarok. Apple has slowly expanded its watch face offerings, but there's still only a handful to choose from and developers can only create complications, not full custom faces. On Versa, anyone can create a custom clockface and there are dozens of mostly free ones to choose from in the store. And Fitbit says many more are on the way, so a Pebble-sized library is definitely in the making. 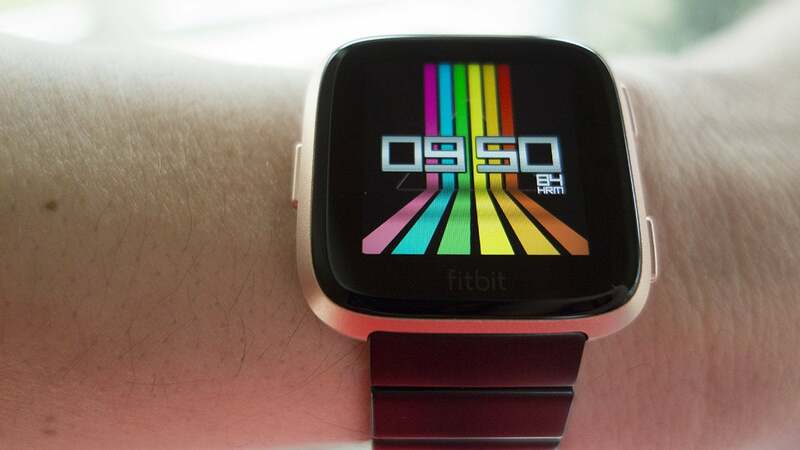 If customization is your main reason for wanting a smartwatch, Versa is the way to go. Apps are another story. While Apple's store has many to choose from, some of the bigger names—Twitter, Instagram, eBay, etc.—have stopped making Apple Watch apps for various reasons. 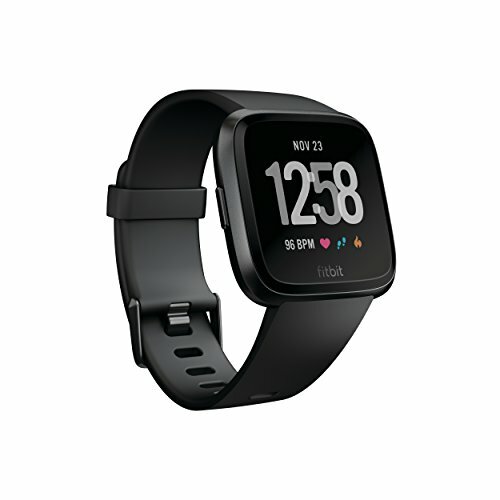 Fitbit's store is far less populated than Apple's, but there are some good ones available, including The New York Times, Philips Hue, and Starbucks. However, with either watch, you're probably going to be spending more time with the watch face than the apps. Versa's fits a big battery in its small frame. If you don't mind charging your smartwatch every night, either watch will do, but if you're looking for multi-day use on a single charge, Versa is the clear winner. 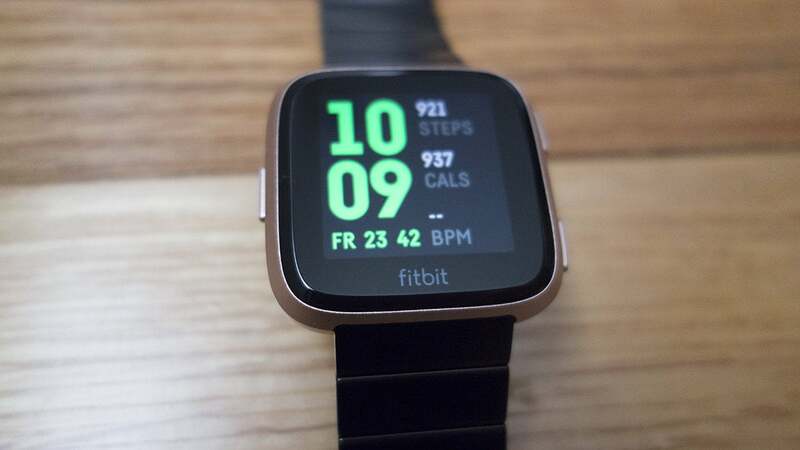 While Apple Watch Series 1 will comfortably get you through a day of use, Fitbit promises up to four days of use with Versa, and in our testing, those estimates were accurate. That means you can sleep, shower, and run with it for the better part of a week before you'll need to take it off for charging. Even with a metal band, Versa can withstand a dunking. For swimmers, there's no competition here. Apple Watch Series 1 is merely "splash resistant," with an IPX7 rating for up to 1 meter of submersion, while Fitbit Versa is water resistant up to 50 meters for tracking laps in a pool. In short, you don't need to worry about it unless you're going deep-sea diving. 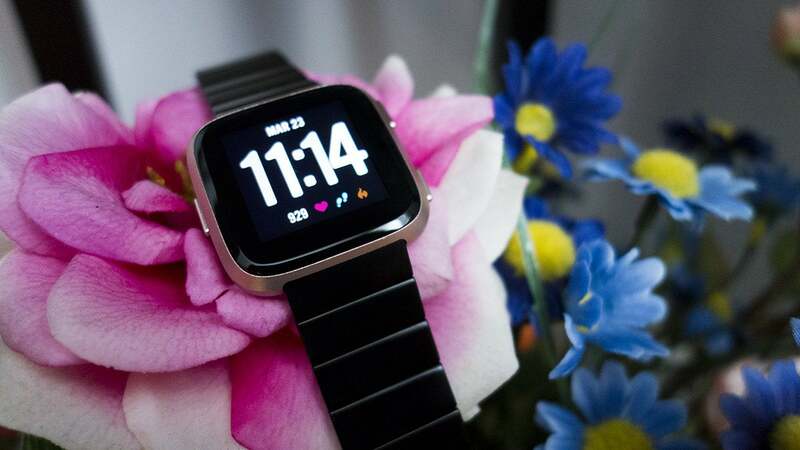 Fitbit Versa is still a fitness tracker at heart. Versa also includes an altimeter for tracking elevation, a sensor that is limited to Apple Watch Series 3. Neither Apple Watch Series 1 nor Versa includes a dedicated GPS chip, so both rely on a phone connection for tracking distance. However, Fitbit has a greater selection of apps for fitness, with on-screen workouts, coaching, and numerous exercise modes. You can also check your daily stats just by swiping up from the bottom of the screen. Versa pulls its info from the Fitbit app on iOS, Android, or Windows. 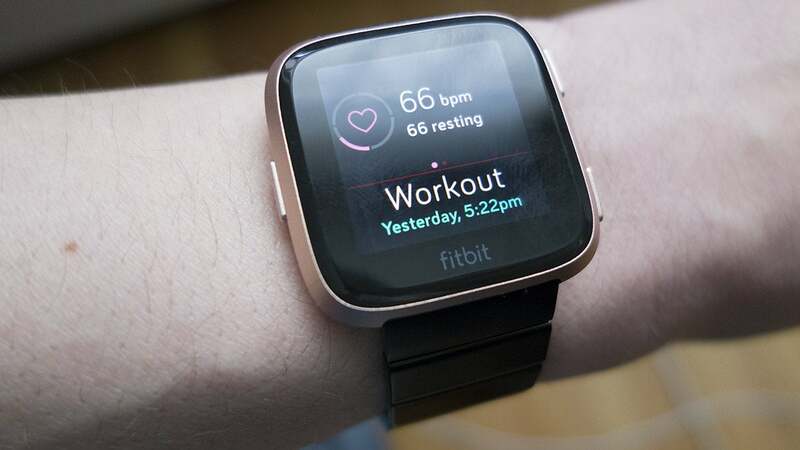 Like Fitbit's other devices, Versa works with iOS, Android, and Windows Phones, while Apple Watch requires an iPhone 5s or newer. Apple also includes support for Siri on Apple Watch, while Fitbit has no AI assistant or voice control. Both watches will alert you to incoming calls and notifications, but Apple Watch's integration with iPhone is much stronger than Versa's, allowing you to respond to messages and texts, and answer calls. Versa will only tell you that you have an alert. You'll need to go to your phone to answer it. 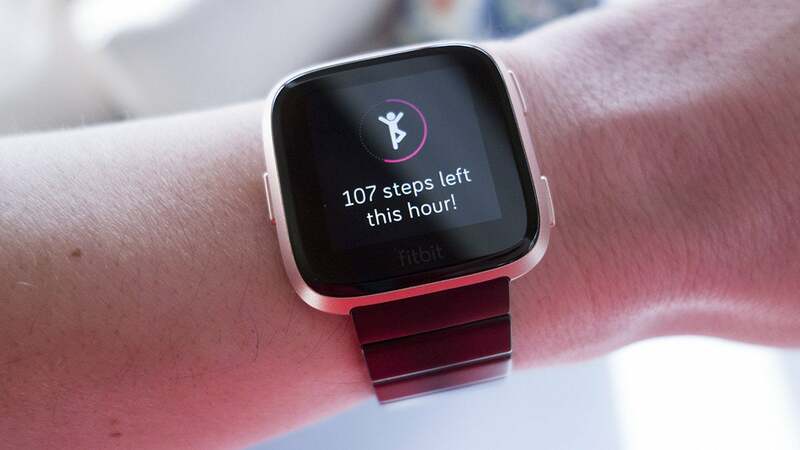 However, Fitbit is promising support for Android quick replies in a future update. Both Apple Watch and Versa have NFC chips for making payments through Apple Pay and Fitbit Pay, but you'll need to spend an extra $30 on the higher-priced special-edition Versa models to get it. Both watches include support for 802.11b/g/n Wi-Fi and neither has an LTE chip. Versa is a whole lot cheaper than it looks. Even if you opt for the special edition model with NFC, you're still paying less for Versa than the 38mm Apple Watch Series 1. Granted this isn't taking deal into account—earlier this month Walmart was selling both sizes of Apple Watch Series 1 for $100 off—but all things being equal, Versa is the better deal. It's not a clean sweep, but for most people, Fitbit's Versa makes more sense than Apple Watch Series 1. It has a better collection of watch faces, is small enough to fit on most wrists, works with an array of phones and OSes, and has excellent battery life. Not to mention it's cheaper.